Ah the Bard’s Tale. Thank you Brian Fargo for bringing this back to me. 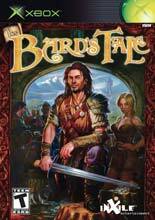 For those of you that don’t know, a lot of us here at Inside Pulse, chiefly Eric S and myself are ga-ga over the original Bard’s Tale Trilogy. I consider it the best PC game trilogy of all time. Hell, I even listed the original as one of the only 2 PC RPG’s in my massive epic Top 30 RPG’s of all time. You can read my bit about the original here. I will say before going any farther, that I still prefer the original three. There’s something about a first person party filled RPG that I can’t help but love. As for this new Bard’s Tale, besides having some people from the original team on board, this game is completely and totally different. The original was dark but laced with comedy. This game is a full blown Juvenalian Satire on the entire RPG genre. There’s very little seriousness in the game. As well, it is an action RPG instead of a turn based game. The New Bard’s Tale also makes the game a solo quests (although you do have summoning spells) instead of a team based party adventure. Most interesting of all is that InXile has licensed the DARK ALLIANCE Engine from SnowBlind Studios. You know Dark Alliance, right? The game that won RPG of the year a few years back and the sequel of which is a front runner for Action RPG of this year? Yeah, I’m loving it. So look what we have here. Some of the original cast and crew doing a new Bard’s Tale two decades after the original. An amazingly popular engine, a name brand to bring back old gamers, some high profile publicity, and so much more going for it. Vivendi Universal even agreed to publish the game. It’s as if everything lined up perfectly for this New Bard’s Tale to be a smash sleeper hit. Nothing could possibly go wrong with it. Right? Okay. I have to say this right out. This is one of the best stories I have ever seen in a video game. Is it the best? No. Revelations Persona, Innocent Sin, and Eternal Punishment take that award. But this is by far the funniest game I have ever played. The script is amazingly crafted. The dialogue is superb and witty, and whoever wrote the songs deserve an award just for that. As I said earlier, the Bard’s Tale is a satire on practically every other RPG out there, both table top and digital. It takes every cliche in the book, from sub quests, to monsters leaving treasure to even the hero blindly agreeing to something amazingly stupid because the developers need the gamers to accept the linear plot they have designed, and instead of following ANY of them, they are all completely turned on their heads and mocked. So much of this game with have you laughing out loud from both the cleverness of what is written here, and also because you never thought anyone would actually make something like this and get it released. I have to say one of my favorite bits is at the beginning with how the game makes fun of the original Dark Alliance games first minor missions. Especially as this game USES that very engine. Brilliant! I don’t want to spoil the plot too much, but let me say this: The Bard is not a hero. He’s not even an anti-hero. He’s a selfish, arrogant, conniving, charismatic rogue that just wants his pockets full of gold and his hands full of nooky. He’s crude, manipulative, sarcastic and exactly how must of us would be if we were shoved into a fantasy world and forced to do inane missions against a nameless faceless super dark evil. You need to buy this game just to see the plot. I can’t imagine anyone not cracking a toothy grin and laughing heartily at everything put into this game. Again, when it comes to the story, I can’t give this game any high recommendation than by saying this is the best plot in any video game released this year. 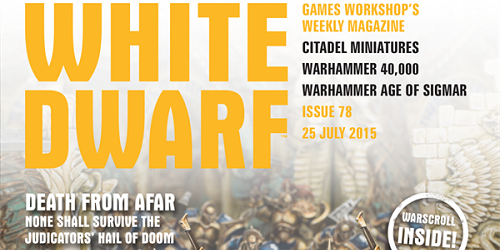 You won’t be disappointed in any way by grabbing this as soon as you see it on the shelves. The game looks just as good as Dark Alliance 2. There are some basic glitches you will find where things go weird on your screen, but that’s minor. The real annoyance is when you have a lot of characters on your screen at once. You will curse the slowdown you encounter here. 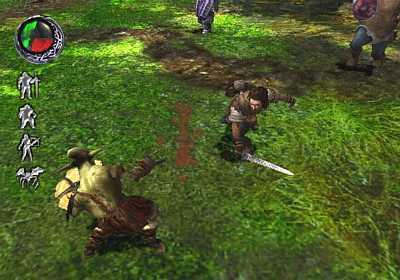 See, DA is an engine designed for at most, 2 players at once against the Computer. But in Bard’s Tale you can summon, well… a LOT of things towards the end of the game and this slows down the engine a lot because it wasn’t designed for a Mercenary, a Heroine, an Electric Spider, A Vorpal Rat, a Dog, and your Character all on the screen killing everything at once. Besides these niggling issues, you’ll find some good character designs and graphics on your screen. Not great, just merely good. There’s obvious improvement from Dark Alliance 1, and even from Fallout: Brotherhood of Steel, but it’s still nothing really impressive compared to a lot of other games out there. Good looking game with some slowdown and glitch issues in regards to what you see on your screen. But nothing that truly ruins your game. If you aren’t aware of it yet, The Bard’s Tale has one of the finest casts ever assembled for a video game in terms of voice acting. For starters, we have Cary Elwes from The Princess Bride, Saw, and Bram Stoker’s Dracula (and also the movie I paraphrased to do my tagline for this game). He is amazing, simply amazing, as the Bard. You rock Cary. Next we have Tony Jay as the Narrator who often breaks the Third Wall with Cary to squabble with each other in something that really makes you appreciate both characters and become fond of them as well. You might know Tony Jay as Magneto in X-Men Legends, the Narrator of Brotherhood of Steel, Shere Kahn from the Jungle Book films, the Narrator from the Hunter: The Reckoning series, Chairface Chippendale from the Tick cartoon, or MegaByte in the cartoon Reboot. He is a virtual God and I love seeing him in this game. Other actors you might recognize: Michael Bell (Duke from GI Joe), Neil Ross (Shipwreck from GI Joe and Ace McCloud from Centurions), Jennifer Hale (Sedusa and Ms. Keane in Powerpuff Girls) and Dan Woren (Roy Fokker from Robotech!) are just a few of the awesome voice actors many of you will remember from your childhood and find yourself marking out like you were back in single digits once you place the voice with where you heard it all those years ago. Great, great stuff. And then we have the songs. What would a game about a Bard be without music right? Well let me tell you, the songs are wonderful and leave you laughing just as hard as the rest of the game. It’s Rhapsody for a more male audience! With songs like “Beer Beer Beer” you can’t help but sing along after a while and also find them trapped in your noggin from their catchiness. And best of all are the Peerie Trow songs, all called “Oh, It’s Bad Luck to Be You.” This is a wonderful parody of the Oompa-Loombas and their songs. Far better than the ones in Family Guy (and trust me, that is hard to top) and just outright hysterical. Whenever you come about a fallen previous Chosen One (you’ll get the running gag once you play the game) you get one of these awesome songs which I have to say, you should buy the game just to hear. They are that funny. How could I give this category anything BUT a perfect score? And here is one of the only real issues I have with the game. 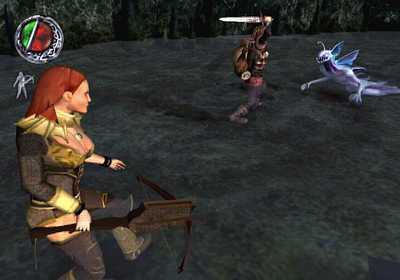 Although the game uses the Dark Alliance engine, it lacks some of the gameplay. It feels slower and wieldier. And as I played both games on the Xbox, they should feel almost the same. But they don’t. The interface with all the difference spells almost adds to the sluggish feeling of the game. You have a lot of menus and positions to memorize and as the game occurs in real time, that can be a detriment. Especially early on. There you might just find yourself summoning an ally only to have the one on the screen already be kicking the bucket. It can be annoying, but eventually you do get used to it. You’ll find everything else, from blocking to attacking a snap, and as I said, once you get a routine down to the menus for spells, it won’t be so bad. There are some issues here with the controls, but nothing that really ruins the game. It just drags it down a bit. Unlike the Dark Alliance games which gives you a lot of weapons and armour and items to choose from, the Bard’s Tale offers you significantly less options here. Generally each town only has 1-2 to choose from and you never really have a selection that makes this a key component of the game. Also unlike the DA games, you only have one playable character: The Bard. The DA games gave you 3 choices in the first, and a grand total of 7 in the second. This cuts down on the replayability as you will always be the same character with the same plot. What is great is how you can customize the game so that your Bard plays however you want. He can be an amazing singer, or warrior, or whatever you want him to be. And even though the feats are cut down from the DA engine, you still have them. You also have a lot of spells you can use and you can quite easily mix up your team. I prefer the Vorpal Rat and the Brute for a good portion of the game. There’s also a lot of stuff to unlock in terms of movies, songs, and gallery shots, so that helps you to come back to the game. But in the end, the excellent voice acting, the wonderful story, and catchy songs are all the reason there really is to keep coming back to the game more than once. And thankfully, it’s so good, that’s enough. Wow. This game is hard. Evil hard. Mean evil cruel hard. You will die a lot. A LOT. Let’s leave it at this. The DA games were pretty easy. Especially compared to this. In Bard’s Tale, you have three difficulty modes, and on the easiest mode your starting stats are lower than on the HARDEST mode of Dark Alliance 1 or 3. Yowza. This game is very very mean indeed. The monsters are tougher than in the DA games and your character is weaker. Your computer controlled allies aren’t the brightest either, but at least you have some control over their AI. But the game is still tough, especially with bosses or mid bosses. Ouch are they mean. You have never played a game quite like this. Sure it uses the Dark Alliance Engine, but it only vaguely resembles it. Especially once you get into the game and become absorbed by it. A story as bizarre and funny as classics like Maniac Mansion and Monkey Island, a cast as diverse and well-acted as any game I’ve ever seen, and a wonderful engine running it all really creates a game that like Brian Fargo promised, is truly original and unique compared to all the other cliche filled RPG’s that we’ve had forced on us since gaming began. 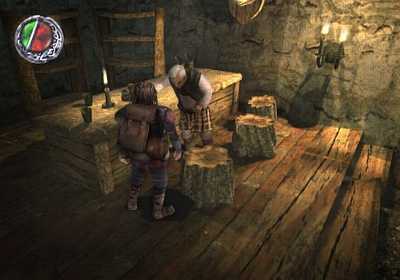 The Bard’s Tale is as fresh and innovative as the games Interplay gave us back in the mid 1980’s. It’s hard to believe such creativity was actually allowed out considering the gaming industry today is all about shoddy sequels and big polygoned boobies. Thanks for giving us this gem InXile. 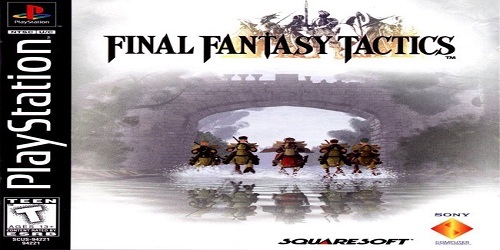 And thanks even more for not doing the original Bard’s Tale a disservice like say… Advance Guardian Heroes did. Everyone needs to experience this game. Everyone needs to play it and devour and laugh hysterically from it and just enjoy a game that tries its damnedest to be fun first and profitable second. I never thought I’d hear that song outside of an Irish tavern where the drunken louts were carrying livers the size of cats! I love this game! 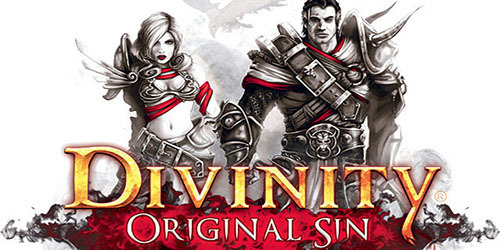 If you like satire, you’ll LOVE this game, if you like great Action RPG’s, you will relish this game. If you just want an enjoyable game that reeks of cleverness and a lot of creativity, this is the game for you. Truly one of the best RPG’s released this year and even non RPG fans will enjoy it. I couldn’t put this game down. I couldn’t get the one liners out of my head. I couldn’t stop singing the songs. Damn them for including a bonus DVD containing the songs! I listen to it constantly and don’t get sick of it. The Dark Alliance Engine makes for one of the most addictive games out there, whether you’re talking the original DA games or just Brotherhood of steel. It’s rare to find a gem like this that combines mirth, action, and addiction so perfectly. There is SO much in this game to cherish. The Bard’s Tale lived up to the promise it held and did almost everything right. There are wonderfully creative monsters and allies. I can’t express how much I love the concept of a Vorpal Rat. The plot is outstanding and every time the Bard and Narrator broke character and interacted with each other just made me fall in love with the game over again. There’s not an aspect of this game (aside from the occasional freeze from too much on the screen or slowdown for the same reason) that this game doesn’t excel at. I have to say it’s been quite some time since I truly reveled over a game like this and I’m glad this game provides me with almost as much enjoyment as the original series this game took its name from. And you get a bonus DVD and a subscription to Xbox Nation for buying this. DOUBLE BONUS! You need to play this game. You need to hear the songs and view the creatures and enjoy the dialogue and have fun playing a very hard but rewarding game that is as silly as it is addictive. It’s as good as Dark Alliance 2, but in very different ways. It’s going to come down to one of these as the best action RPG for 2004. You might as well grab both if you can and see how different two companies can use one engine.